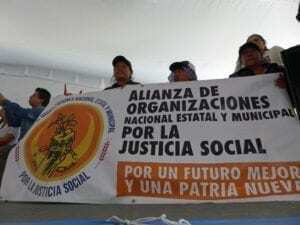 The workers, who left Baja California March 4 and arrived in Mexico City on March 17, sought to raise renewed awareness of their struggle for decent working conditions in the San Quintin Valley and hold employers accountable for their failure to uphold agreements reached in 2015. Although the settlement negotiated in 2015 included raising day wages to between 150 and 180 pesos (approximately $7 to $9), these wage levels have been unevenly applied. “We are here to demand the same things we have been asking for, for two years,” says Lorenzo Rodriguez, general secretary of the SINDJA union. 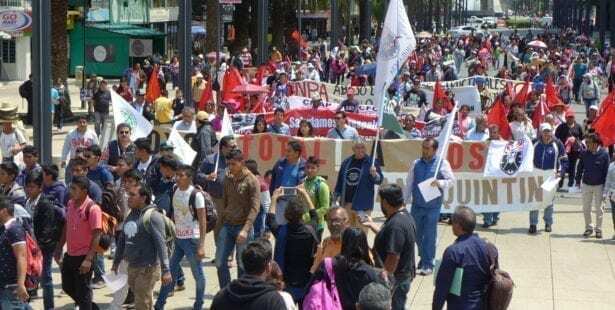 Following the 2015 jornaleros strike, workers formed a national independent union that has grown to include farm workers from four Mexican states. Registering their independent union, SINDJA, is the only demand that has been met so far, say union leaders. Workers negotiated the agreement with the government, but the agribusiness owners and growers must comply. “We don’t even have the right to live,” says farm worker leader Bonifacio Martinez. “And with proposed new government reforms, we are forbidden to get sick at work,” he adds, referring to proposed legislation that would place government and employers, not medical professionals, in charge of determining whether an injury is work-related. The national caravan included families of the 43 disappeared students of Ayotzinapa, who continue to seek answers and justice. 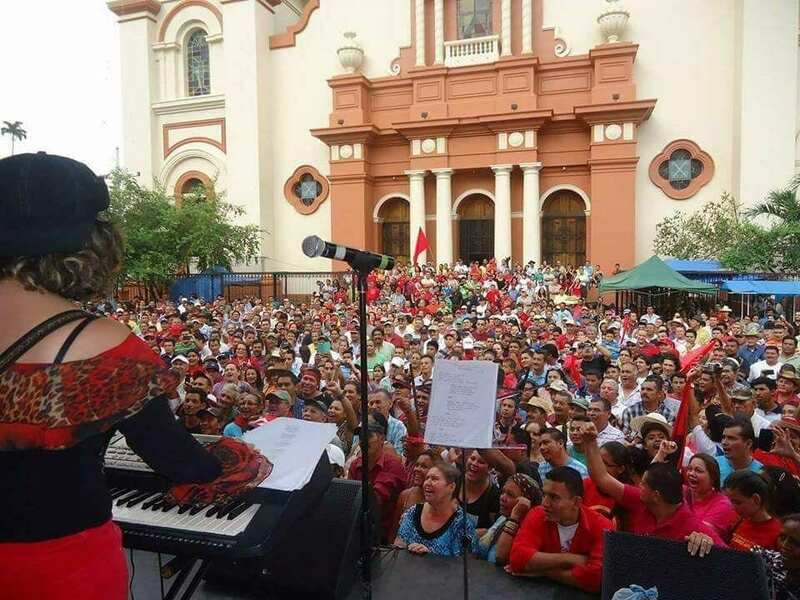 The march coincided with the two-year anniversary of a historic 12-week strike and popular mobilization in the San Quintin Valley.